One of the most important buildings in the city, built between the end of the 17th and beginning of the 18th centuries, it takes its name from the Labia family, Catalan merchants who came to Venice during the war with Candia and became part of the patriciate after handing over a large sum of money (100.000 ducats). The Labias spent incredible sums of money on furnishing the palazzo, engaging GB. Tiepolo to fresco it. Together with the quadraturist Mengozzi Colonna, he began the great cycle of paintings depicting the life of Cleopatra, which can be visited by appointment. 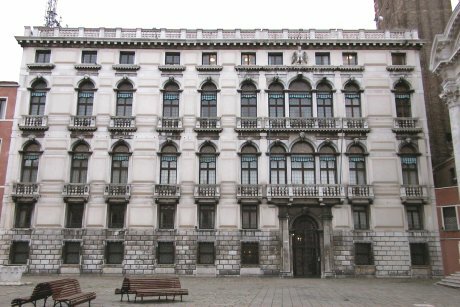 A part of the palazzo is today the home of the RAI. It was here that, after dinner one evening, the owner of the palazzo threw some of his furniture into the canal below, exclaiming arrogantly, “Le abia, o non le abia, sarò sempre Labia” (“Whether I’ve got them or not I will always be a Labia”). However, in that occasion there was belived to have been a net stretched under the waters of the canal and that boats placed there for the purpose pulled up the precious merchandise and took it back to its owner.